Established in 1998 as a project of the American Friends Service Committee, the Pan Valley Institute (PVI) is a popular education center located in Fresno, the heart of California's Central Valley. Since its inception, the Pan Valley Institute (PVI) has placed a high value on what immigrants bring with them to this country—their experiences, abilities, and sensibilities, which are often informed by practical, prolonged, and daily struggles against economic and social injustice. In fact, PVI is rooted in the belief that immigrants bring new and valuable cultural perspectives on entrenched Valley problems. Initial funding of PVI was based on a vision of providing a learning and gathering space to immigrants as they strive to achieve full citizenship in the civic, economic, and political life of the Valley—and to stand with them as they overcome economic, social, and political oppression. 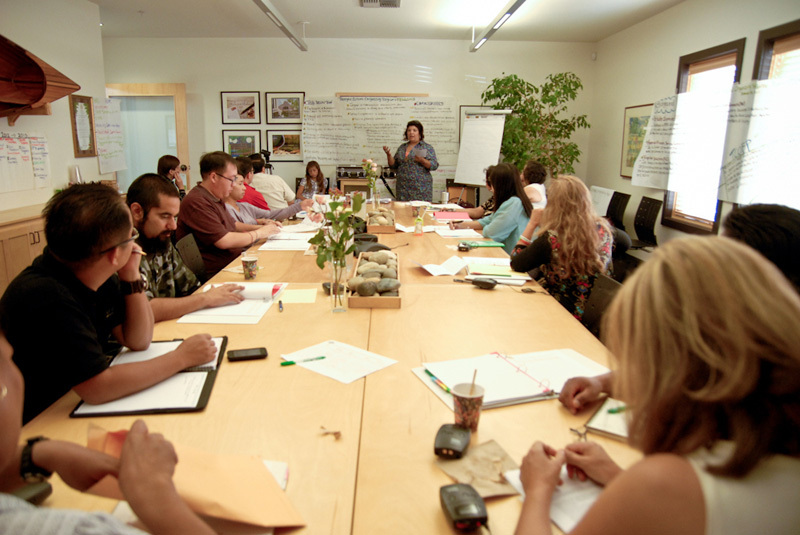 Since December 1998, PVI has facilitated approximately 40 multi-day residential popular education gatherings in which an estimated 1,000 Mexican, indigenous Mexican, and Southeast Asian immigrants have participated. Participants learned in groups of 20 to 25 at a time. A common characteristic of all participants is that they share the interest of bringing change and well-being to their communities. The issues that they intended to address through action varied broadly and included gender, youth, family separation and generational conflicts, cross-cultural relations, and worker and human rights, among others. The American Friends Service Committee (AFSC) is an independent Quaker organization that was founded in 1917 to provide conscientious objectors with an opportunity to aid civilian victims during World War I. Today we carry on programs of service, development, social justice, and peace in 22 countries and 43 sites in the United States. Through the years, the work has attracted the support and partnership of people of many races, religions, and cultures. PVI's mission is to create a place where immigrants and refugees can gather to learn from each other and rebuild their world. By providing a safe and welcoming space where people gather to talk, create, and learn as equals, PVI hopes to see California's Central Valley become a place where all people are respected, differences are embraced, and immigrants actively participate in civic life.